At EVO 2018 in Las Vegas this weekend, Arc System Works had a playable demo of the upcoming Kill la Kill the Game: IF, announced back in June. After showing a gameplay trailer at Anime Expo, this demo is the first chance tournament goers have had to get their hands on the 3D arena fighter and see how it plays first-hand. 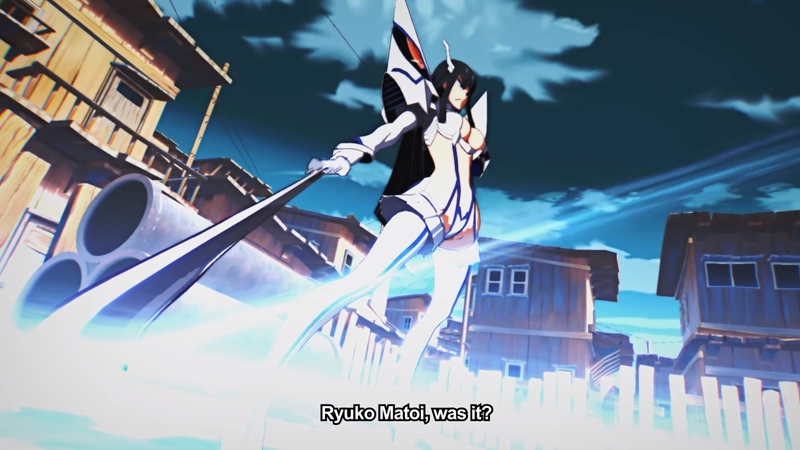 In the demo only Ryuko Matoi and Satsuki Kiryuin are playable, but it gives players a taste of what to expect from Kill la Kill the Game: IF. There’s a variety of moves and mechanics to keep track of, which were covered by Famitsu back in July, as well as in a guide from Arc System Works on the official site, which you can read here. It covers move lists for both characters, general mechanics and movement, as well as the unusual “Ketsui System”, a rock-paper-scissors-type system where players choose Taunt (rock), Provoke (paper) or Mock (scissors), with the winner gaining one Ketsui level, which gives different benefits. Getting to the maximum Ketsui level of 3 allows you to use your full SP gauge for Fiber Lost Secret Arts, this game’s instant kill move. Kill la Kill the Game: IF is being developed by APLUS, developer of Little Witch Academia: Chamber of Time, and published by Arc System Works. It’s set for release in 2019 on PS4 and Steam. A new build of the game, likely including a new character, will be playable at Tokyo Game Show in September.